It’s is probably time to present one of the most influential Asian bookmakers also known as Mansion88 or M88. The company is licensed by the Cagayan Economic Zone Authority, and it’s also a blue chip bookmaker under the jurisdiction of Philippines. Mansion88 is not popular on the European and American betting markets, but, in fact, it’s a quite large corporation and has a wide range of competitive products and services. Like many other online bookmakers, Mansion88 restricts some of the most active non-Asian countries. Both USA and UK players are not allowed to play with this bookmaker. The list goes on with France, Hong Kong, Guyana, Taiwan, Martinique, Singapore, Guadeloupe and the Philippines. 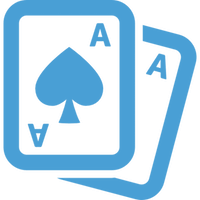 This online betting provider is involved in many events and social activities. M88 is one of the top supporters and regular donor for China Sichuan Relief. It also sponsors famous forums such as Tiger Street Football, Guinness 9 Ball Tour, and KL World 5’s Futsal. FashionTV media is also sponsored by this bookie. As you can probably guess, the company is financially stable and surely a good choice for any recreational bettor. The colors used in the website design don’t hurt the eyes and the interface is very intuitive. The amount of information you get from the home page is more than enough to set you off on a betting adventure. The menus are sleek and the sports list is classically placed – on the left side of the website. M88 has a wide range of gambling opportunities available for their clients. When it comes to sports betting, there are a total of 10 different sports for customers to wager. Various of the most popular football leagues are supported, as well as NBA. A player who loves football betting has the chance to bet on English Premier League, German Bundesliga, Italian Serie A and Spanish La Liga. All of these options are supported on both mobile devices (Android, iPhone, Windows, and Blackberry) and desktop computers. Live betting is part of the services Mansion88 offers. The sports betting offering is quite attractive, but M88 is far more than it. The online bookmaker many other great gambling experiences, such as poker, live casino, lottery, keno and many other small games. M88 offers the best odds among the Asian sports betting providers. But we can’t expect nothing less from this respectable bookmaker. The odds are formatted according to all standards, and every client can pick from UK, US, Hong Kong or Malay display. In fact, Mansion88 employs more than 350 bookmakers who manage the odds on a daily basis for over 3 000 games every single month. Football betting is well developed, and the fans can have a great time with numerous betting options. There are quite a lot betting types available, and some of the most popular ones are 1X2, Correct Score, Total Goal, HF.FT, First Goal/Last Goal, Corners, Which Team to Kick Off, Under/Over, Total Bookings, Offsides and others. Various Parlays and Combination bets are also presented. Gamblers can enjoy the usual schemes such as Doubles, Trebles, 4 to 8 Folds. 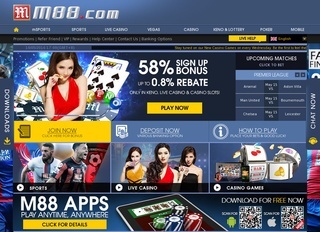 M88 uses a strong security feature on their website and gambling platform. They employ SSL encryption for all connections with certification from COMODO CA Ltd. Also, the online bookmaker assures us that all their servers, databases with sensitive data and any other private resources are monitored constantly and hidden behind a strong firewall protection. In reality, the bookie is quite dedicated to sports gambling and even cooperate with FIFA and its EWS (Early Warning System), which help in the detection of suspicious activity and match fixing. Mansion88 perfectly handles their customer support as well. There is a well-trained department that is ready to meet any request from the clients. The team can be easily contacted by phone at their international number or the line for Malaysian residents only. Be advised that the certain charges are applied to the international number. Also, every customer is free to use the live chat services provided by M88 or simply send them an email. The Asian bookmaking giant supports various currencies, and most of them are naturally Asian. There are various ways to fund your account, and most of the payment methods are popular in Asia rather than anywhere else. However, Mansion88 policy states that it won’t accept any cheques as a deposit method. 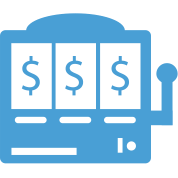 When it comes to charges, the bookmaker won’t apply a single penny for a fee, but clients are warned that third parties in the transaction process may issue a service fee. On the other hand, withdraws are limited to three e-wallet options and a local bank transfer. 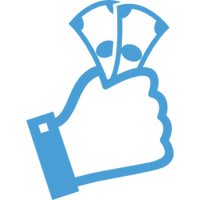 Most of the payment methods are quite fast, and you can receive your money in less than 24 hours. The bank transfer takes about three working days, as well as the first withdraw that you’ve ever made. It involves some security checks and other verifications. Those who love bonuses will be perfectly satisfied with Mansion88 as the bookie has some of the most exciting promotions for both new and existing players. 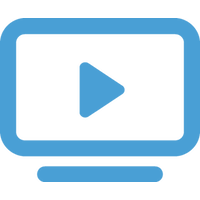 Newcomers can receive up to 33% of their initial deposit or transfer from one in-game wallet to another. There is a requirement of $50 deposit and rollover of 18 times before the player can withdraw the bonus amount. Different bonus codes must be used according to the desired game. They are as follow – MSUSBA33 for mSports, SUSBA33 for Sports, SUCAA33 for Casino and SULTA33 for Keno and Lottery. From time to time M88 release an additional promotion for new players with up to 150% bonus, chance to win a special lottery and welcoming gifts. There are a loyalty program and tons of other small promotions and hot deals for almost every single sport or gambling game. However, most of the promotions are available to players from selected countries such as Australia, Japan, China, Indonesia, Malaysia, Thailand, Vietnam, and Cambodia.